Sensory play is only one of many developmentally appropriate activities for 6 – 12 month olds. At around the time of the 6 month mark, most families with new babies are beginning to settle in to a rhythm. There may still be some tweaking to do, but things are certainly a little calmer than they once were. Babies are beginning to sit up and they’re becoming more social. And while many won’t admit to it, the days of a stay/work at home mom or dad can feel long, as can weekend days for parents who work outside of the house. With that in mind, I give you 5 activities to enrich your 6-12 month olds development….and break up the long day! Sensory Play in a Tub: Whether you choose the bath or a large Rubbermaid tub, this is a great place to let your baby explore. Try stripping them down and letting them paint with baby food. Shredded paper is a fun sensory material, as are cotton balls and kosher salt. Magic Nuudles are made of corn starch, so if your baby puts them in his or her mouth, they’re safe. Take a Class or Join a Playgroup: Because babies at this age are beginning to be social creatures, it’s the perfect time to have them around other babies in a class. If you can’t afford a class, put together a play group, to give grown-ups and babies some time with their peers. Download some exploration ideas and songs, and rotate homes so that no family feels the burden of hosting each week. Then watch those babies, and yourselves, thrive. Explore the Book Store or Library: It’s never too early to instill a love of reading in your child. Many local book stores and libraries have story hours, where a talented storyteller will share a book with your little one. Afterwards, let them explore the space and some board books. This is a great way to get out of the rain or snow and engage in a free activity. Cause and Effect Games: These types of games are a big hit with children at this age. If I pull that handle, what happens? Where does the ball go if I put it in that hole? If I make a face in the mirror, what will my reflection do? When I roll a ball to my grown-up, do they roll it back? 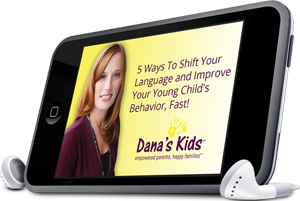 Help your child begin to understand their effect on the world around them. Let’s Get Physical: Use couch cushions and bed pillows to give crawlers new textures and environments to explore. Babies who are sitting can sit with support on a couch cushion or blankets with different textures. Put your baby on a blanket or in a laundry basket and give them a ride. Try going slower and faster to see how they react. Talk to them about what you and they are doing. You can find more great activity and material ideas throughout the site. And remember, while it’s very important to actively engage your babies during the day, it’s also okay for them to have some safe, independent time as well.